Francis was appointed senior counsel in January 2009 and practices international commercial and treaty arbitration and litigation. Francis is recognised as a leading lawyer by AsiaLaw Profiles (2017, 2018); Asia Pacific Legal 500 (2014-2018); Ranked Lawyers Chambers Global (2016-2018, 2019); Dispute Resolution Chambers Asia-Pacific (2016-2018); Labour & Employment; Who’s Who Legal (2016, 2018, 2019); Best Lawyer in Litigation Practice, Best Lawyers International (2015-2017); Asia Law Leading Lawyers (2009); Global Arbitration Review (2010); Best Litigation Lawyers in Singapore (2013) and as a leading employment lawyer – Chambers Asia Pacific (2014). 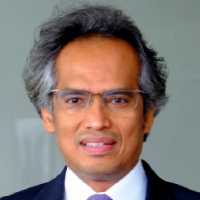 Francis was recently recognized by Asia Business Law Journal in 2018 as Singapore’s top 100 lawyers and is the winner of a Business Excellence Awards (2019) issued by Corporate Insider, the Gateway to the World of Business and named Disputes resolution star by Benchmark Litigation Asia Pacific (2019). He is a chartered arbitrator and the immediate past chairman of the Singapore branch of the Chartered Institute of Arbitrators (UK). He is also president-elect of the Inter-Pacific Bar Association and the vice president, Chartered Institute of Arbitrators (UK). He is the general editor of two major publications – Civil Litigation in Singapore (Sweet & Maxwell, 2017) and Arbitration in Singapore: A Practical Guide (2nd Edition, Sweet & Maxwell, 2018). He is a member of the Rules Committee, Singapore Academy of Law.